"What Can We Do? [Treatment]"
I call this recommendation zero because the authors made a strong point of telling you what NOT TO DO first on page 3 of their report. They start their recommendations by dismissing all "physician wellness or self-care strategies - such as mindfulness or yoga" as not worthy of "devoting scarce institutional attention and resources". "Physicians don't have time to consistently fit yoga and similar coping strategies into their routine." So ... don't teach the skills to build boundaries between work and home, center and release stress and anxiety or build life balance because the doctors are just too darn busy for that kind of stuff. This is not an Either / Or situation. It is not EITHER institutional reform OR self-care. You must have BOTH. Organizations must complete the doctor's education around stress, stress management and burnout prevention, including heaping helpings of self-care tools and support. All of the self-care tools must be modified to fit into the busy schedule of a practicing physician. 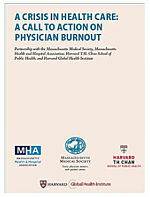 "Support proactive mental health treatment for physician's experiencing burnout and related challenges"
There are no recommendations for individual support of struggling physicians until AFTER they qualify for mental health or addiction services. 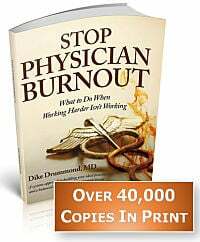 Remember that burnout does not appear in the DSM-5. It is not a mental illness. So this is a recommendation to ignore the presence of struggle and burnout until after the doctor has crossed the threshold of a mental health complication. What happened to primary prevention? You must identify and reach out proactively to struggling doctors BEFORE they are suffering from a mental health diagnosis. In addition to a crisis hotline, employer groups must also deliver peer on-boarding and mentoring, peer coaching, professional coaching for struggling doctors and a carefully chosen few of the self-care techniques mentioned above. "Improve EHR standards with strong focus on usability and open API's"
Standards, useability and API's -- these are all tech solutions with no clear winner visible on the horizon. 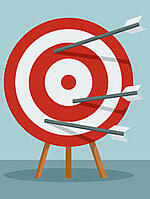 Tell me when the EHR industry will ever fix itself !! Yet this week, all across the USA, doctors will waste millions of hours documenting from home. We don't have time. This is urgent. And we simply can't count on the people who caused this problem to be the ones who fix it. The front-line care teams need support TODAY. We don't have time to wait for Silicon Valley and the smoke and mirrors of API's and AI and interoperability promises. - All groups must launch and run aggressive pilot projects to streamline documentation workflows and upstaff the front-line care teams. 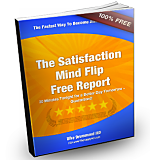 - Understand right now that EHR overwhelm has a simple cause. There is too much data entry to do and too few hands on deck. - The University of Colorado APEX project is a prime example of right-sizing the work team for the tasks at hand and the organizational benefits this intervention provides. Hang on a second. Sounds like they are thinking a CWO is a walking, talking magic wand in human form with an MD/DO after its name. You don't need the distraction of a CWO until there is a functioning wellness/burnout prevention department that could benefit from the leverage of a senior leader. The first $300K of your wellness budget needs to go to programs for front-line stress relief and not to a CWO's salary and door plaque. 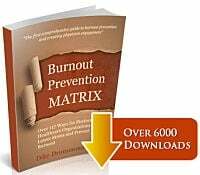 - Start with a front-line wellness champion to lead your Burnout Prevention Working Group. - Build your organizations corporate strategy (the Coal Mine Strategy) from the ground up. - Once your corporate wellness strategy is up and running, you can bring in a CWO when it makes sense. Then you will hit the next hurdle. What are the qualifications and experience of a good CWO applicant ?? If you tell me I don't need to worry about that $300K because you aren't going to pay your CWO ... you have a whole different problem! And trust me on this ... your doctors can see what you are doing. The Full Consensus Statement is here. We wish you the best of luck in implementing any of them. All you get in the document is the typical generalities and literature references. You could stop here, download and file the original paper and get back to your own private whirlwind. And there is another option available. Are you a Senior Leader who cares enough about your people to build a burnout prevention strategy? 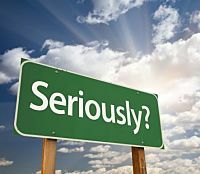 If you have been confused on where to begin - or how to get more traction with your existing program - we can help. We would be happy to provide you with a detailed second opinion based on our experience with 163 organizations of all sizes across four continents. If you wish, we will roll up our sleeves and help you build a permanent upgrade in your wellness leadership capabilities. Let's connect so I can give you targeted advice for meaningful next steps.